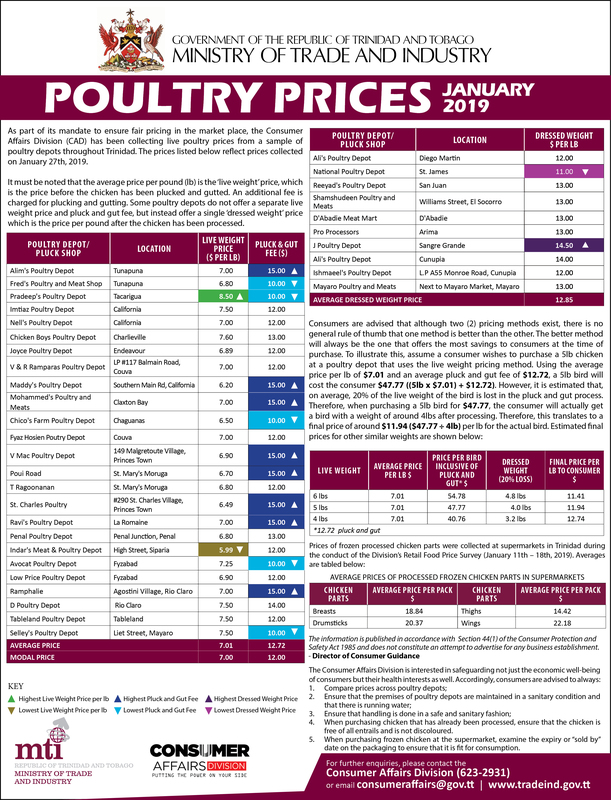 As part of its mandate to ensure fair pricing in the market place, the Consumer Affairs Division (CAD) has been collecting live poultry prices from a sample of poultry depots throughout Trinidad. 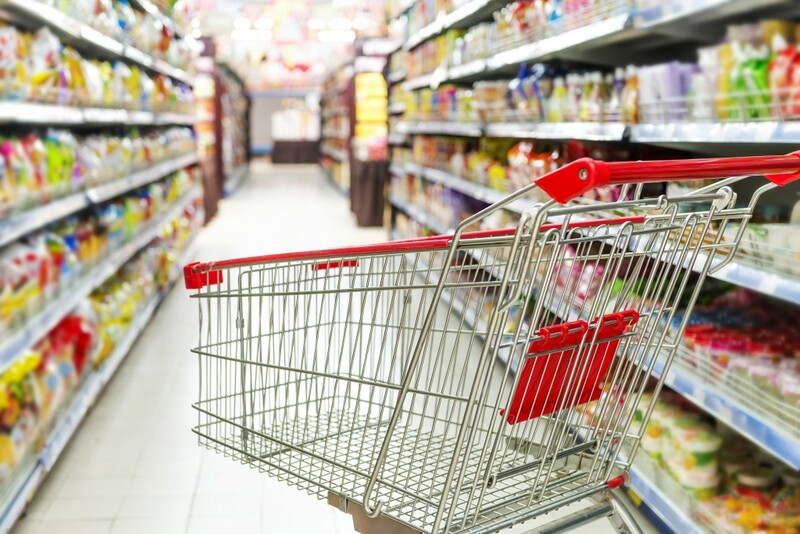 The prices listed below reflect prices collected on January 27th, 2019. 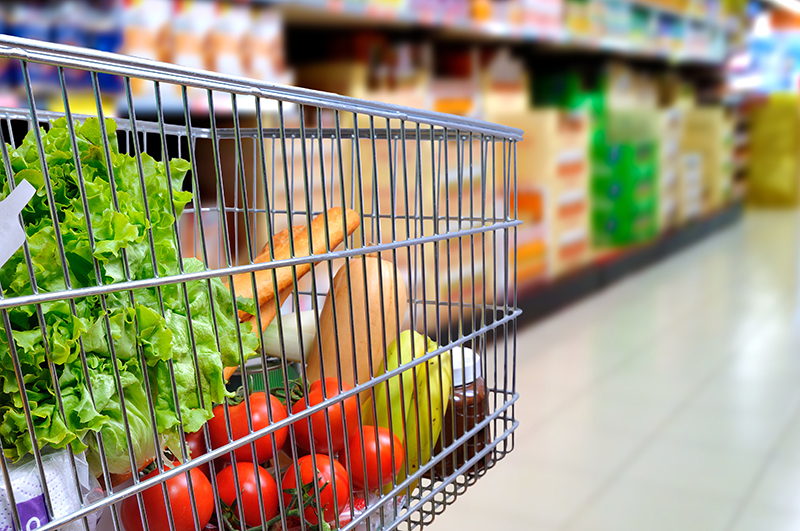 It must be noted that the average price per pound (lb) is the ‘live weight’ price, which is the price before the chicken has been plucked and gutted. An additional fee is charged for plucking and gutting. 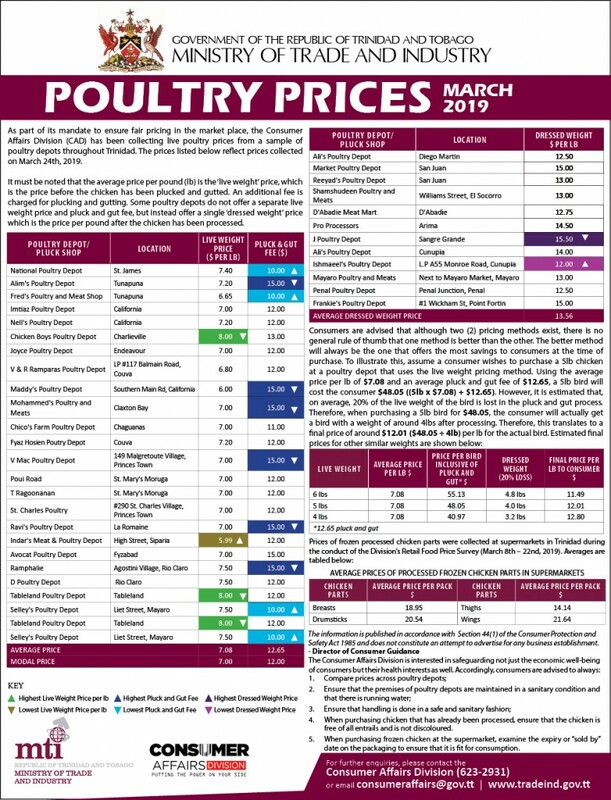 Some poultry depots do not offer a separate live weight price and pluck and gut fee, but instead offer a single ‘dressed weight’ price which is the price per pound after the chicken has been processed. Sign up to receive News and Updates on Trade and Industry topics. Ground Floor, TTMA Building, #42 Tenth Avenue, Barataria, Trinidad and Tobago, W.I.